I guess this is my first post in 2014, so Happy New Year everyone! 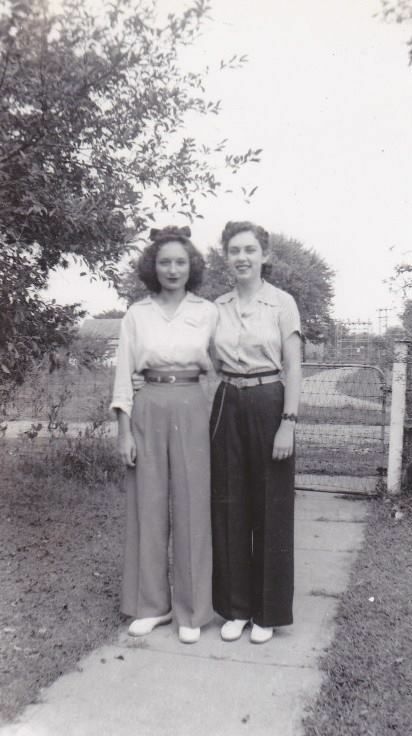 Ever since I saw American Duchesses post about vintage high wasted pants, I realized that I really like the look of them. 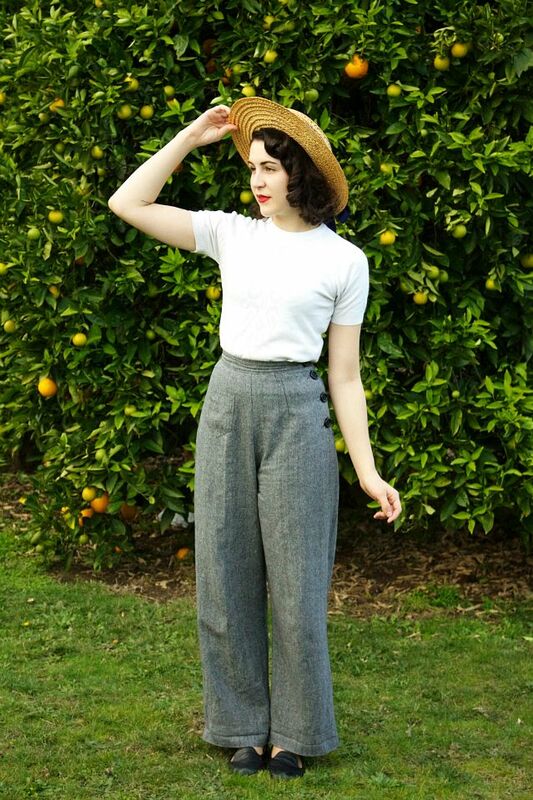 A few days ago I went pin happy on Pinterest with 1930's and 40's trousers. Now want to make some for Vintage Aircraft Weekend (VAW) this summer. 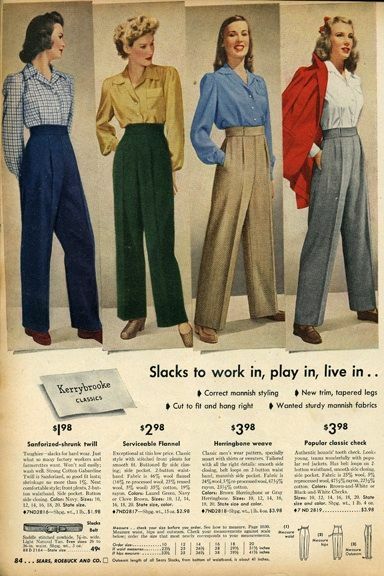 I want to put together an entire 40's (or maybe even 30's) outfit for VAW. Here's some of the inspiration I've found so far. 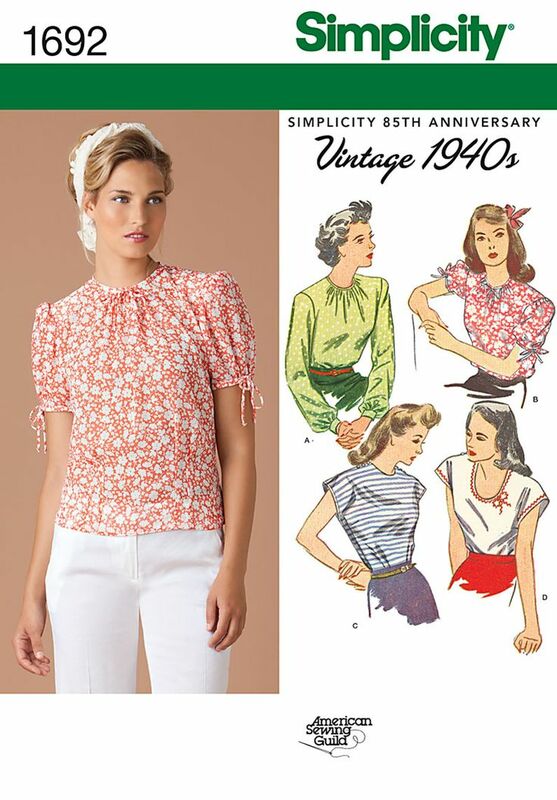 I started looking around for some patterns online and found Simplicity 3688. Except I would like to make some with buttons, and the Simpicity pattern just has a normal waistband. So I was thinking that I could modify the pattern I used for my Marion Ravenwood pants instead. 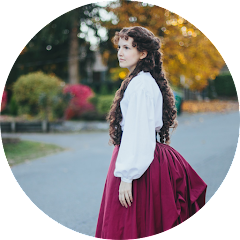 I was also thinking I could use this pattern (which is free. YAY!) and just turn it into pants instead of shorts. Okay, so now that I pretty much have planned out the pants, it's time to figure out the top. I love this top! I think I'm going to end up with something like this. 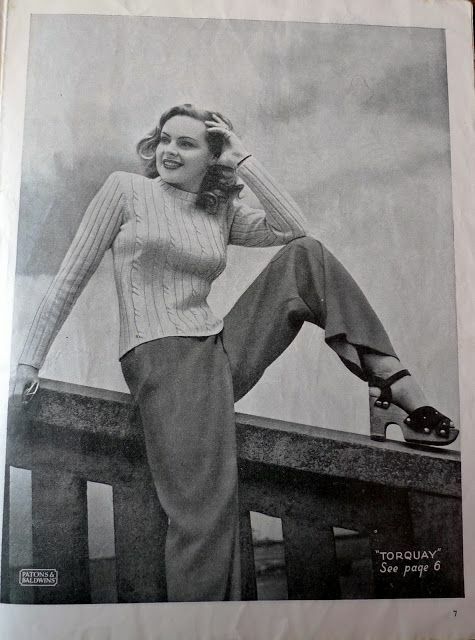 The only pattern I've found for a top so far is Simplicity 1692 which should work pretty well if I can't find anything else.